Standing on the banks of the majestic Chao Phraya River, this refined property offers stylish living and comforts of a five-star hotel. Seamless Chatrium ferry shuttle service to the central ferry pier for sky train station and easy ferry transfer to the Grand Palace, the Reclining Buddha and Temple of Dawn. The rooftop infinity pool offers a relaxing setting to enjoy the sun and the expansive panaromic view of both the cityscape and the riverside hustle and bustle. S riverside location was carefully chosen to afford ready access to road, SkyTrain and boat transport, assuring that all points of the city are within reach, from the major thoroughfares of Silom, Sathorn and Rama III roads to expressway links that put Suvarnabhumi International Airport a mere 45-minute drive away. Thirty floors of the 36-story Chatrium Suites offer 320 luxurious and spacious accommodations, each with a balcony, floor-to-ceiling windows that afford optimal light, sweeping river and city panoramas, a convenient riverside location, four-fixture bathrooms with separate tubs and showers, fully-equipped kitchens, and dining tables. Chatrium Suites features three zones, each with its own unique style of accommodation: Grand Floors (7-31), Executive Floors (32-34) and the Premier Floor (35). The outdoor swimming pool on the 6th floor with its sweeping river views is easily accessible from all floors. 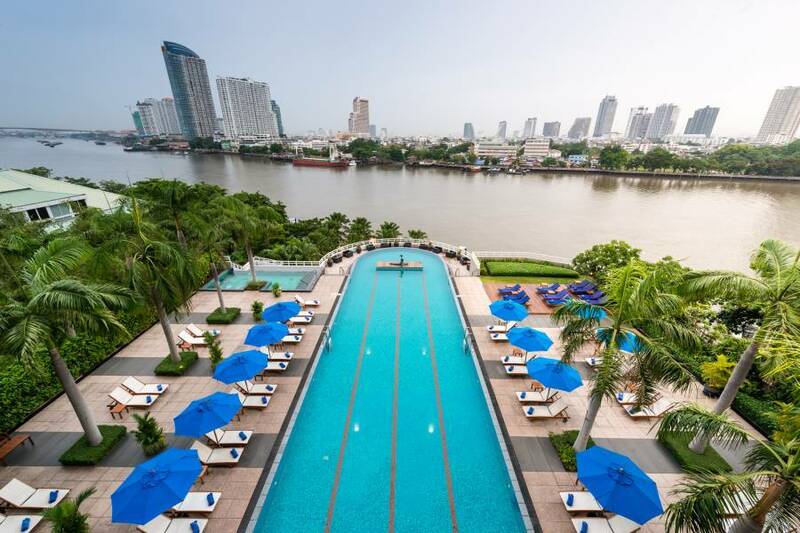 Located on the banks of the majestic Chao Phraya River with the cultural and historical hub of Bangkok at its doorsteps, the 5-star Chatrium Hotel Riverside Bangkok offers a premium choice in Bangkok accommodation by blending spacious yet luxurious contemporary rooms and suites with warm and friendly Thai hospitality. Winner of Trip Advisors 2012 Travelers' Choice Award for Best Hotel Bangkok, amongst all Bangkok Hotels, Thailand, our very large rooms and suites, all with large balconies and stunning views, combined with friendly and attentive service are just some of the simply remarkable features we offer as a 5-Star Hotel Bangkok. 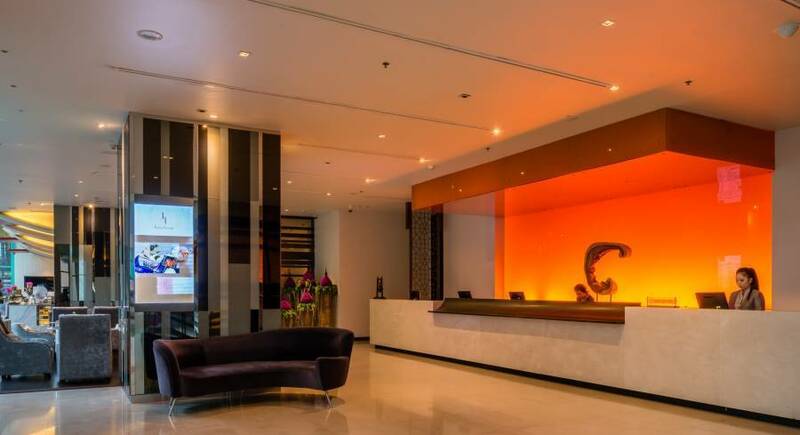 Whether for business, leisure, meetings or just simply pleasure, our ability to tailor our products and services to your needs will certainly create a remarkable experience within the most remarkable Hotel in Bangkok. 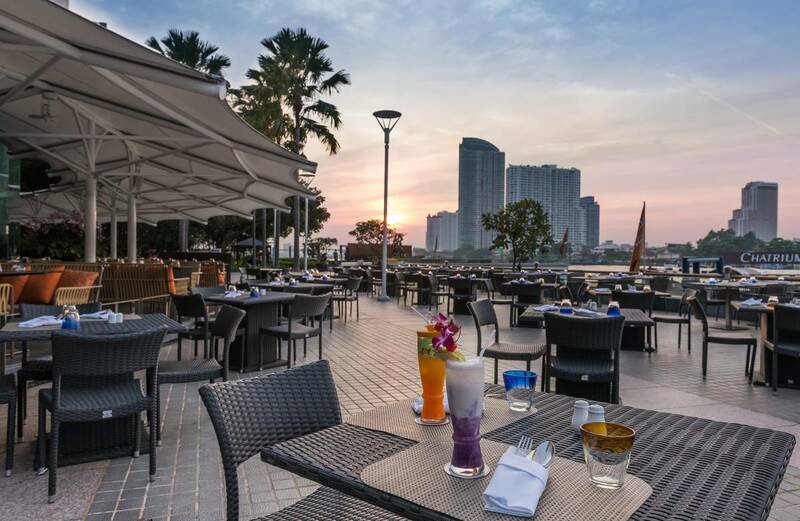 "Your River Hotel Bangkok awaits"
This magnificent all-day dining establishment with its curved windows overlooking the Chao Phraya River offers international cuisines and regional specialties, both buffet-style and à la carte, and an elegant mezzanine for private functions. 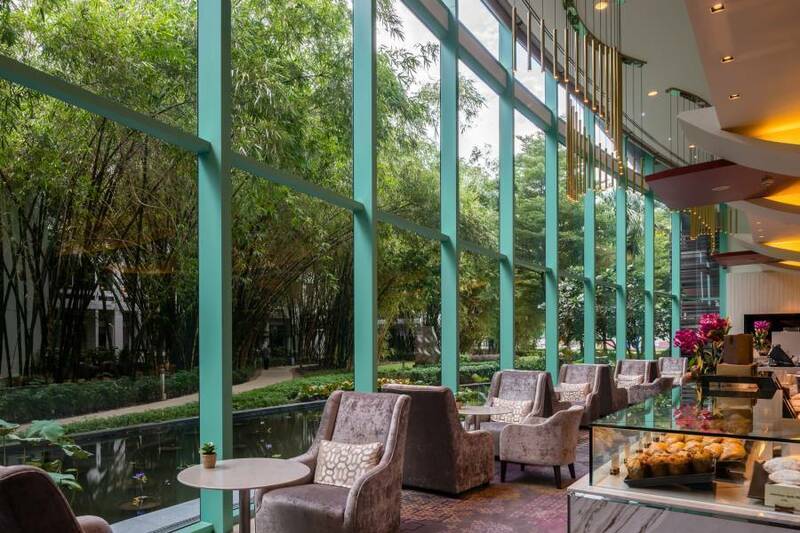 Chatrium Suites Bangkok inviting open-space lounge fronting a large lotus pond and lush tropical garden offers a soothing yet sophisticated setting in which to relax, mix and mingle. For alfresco dining on the river’s edge, Pier 28 provides an intimate and memorable culinary experience. 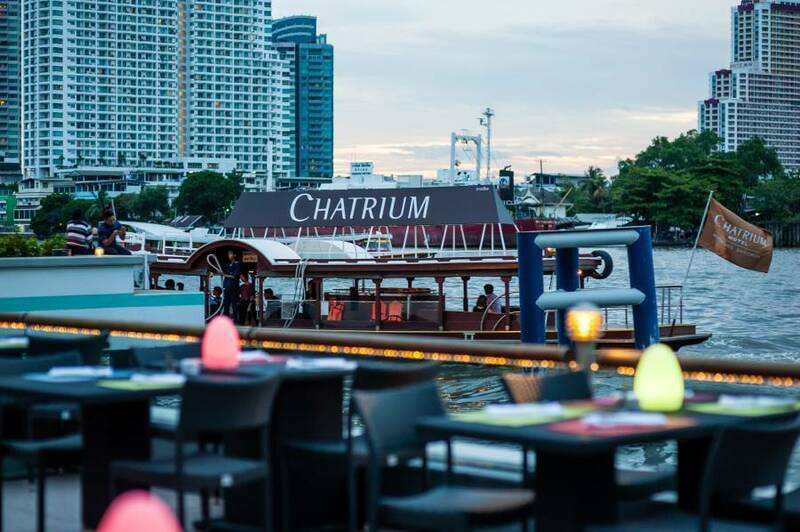 This chic Chinese restaurant features authentic Cantonese cuisine served in a setting that affords breathtaking 360-degree panoramas of the Bangkok skyline and the Chao Phraya River. Takes Bangkok-Chonburi Highway and continue to the tollgate at Rama IX. Take Rama IX towards Sukhumvit, Dowkanong and take exit at Chan Road. Look for the first u-turn right, then keep left to turn left to Chan Road and keep go straight until you reach Charoenkrung Road, the hotel is in front of you. The distance is 45 kms and takes 45 mins by car. Airport transfer is available at additional charge.